Email marketing, a newsletter, e-shot or mailshot, whatever you want to call it; emailing your mailing list is a valuable element of a business’s digital presence. Even in this day and age, the vast majority of businesses, both small and large, utilise email as part of their wider marketing strategy. Why? Because people still open and action their emails! Over the years, email marketing has proven itself to be very synergistic to social media and we sure know how to run successful email marketing campaigns as well as how to grow a mailing list. Did you know that 85% of social media marketers still use email marketing to compound their efforts? Anyone who tells you email marketing no longer works doesn’t send good emails! The key is in sending emails to an engaged audience and keeping them engaged by adding value to their day – not just selling your wares to them! Millions of marketing emails are sent and opened every day; for decades it has proved to be a great way to keep in touch with and expand your online audience. Even as we move deeper into the 21st century, email marketing remains relevant and should play a role in an all-encompassing strategy. In the same way blogging represents another channel through which you can engage with certain segments of your audience, emails are the preferred method of correspondence for some people. Newsletters are a perfect way to keep people up to date with developments in your business or your sector, to generate clicks to your website, perhaps a new blog or a squeeze page, or even to make people aware of your social media pages. In all likelihood, your audience will be diverse in how they best engage with a brand, twice-monthly emails might be the perfect medium for some of them whilst others will prefer lots of short and sharp insights over Twitter, for example. Your content should adapt to both the medium through which it is consumed but also the type of consumer using that medium – do they tend to be older than your Twitter followers? Are they more au fait with your business? Will they be more or less receptive to humour or overt selling tactics? As a specialist social media agency, helping maximising our clients return on their email marketing simply comes with the territory! Some marketers and business owners confuse cold, mass email marketing with nurturing an engaged mailing list. Building a loyal mailing list that looks forward to receiving your news is the key to generating return from your campaign and that’s exactly what you should be looking for from every piece of marketing activity you undertake. The beauty of email marketing is that you can see exactly how successful the campaign has been as well as which individual has clicked on certain links and how many times! All of our clients achieve higher than average open and click rates for their industry because we know how to make people open their emails and, most importantly, do something with them! But I don’t want to come across as needy and spammy! I hate receiving spam – won’t me audience hate me? Why would they hate you if you’re providing valuable information or things to read that they’ll enjoy? If you’re giving, giving, giving to your audience, it won’t look needy, either. Social Media Examiner’s newsletter goes out to over 400,000 subscribers every single day under the guise of ‘free updates’. But even these guys sell to their audience – they just manage to cram in enough value that people stay tuned – they don’t want to miss anything useful. You can see the contrast between spammy, sales emails and a useful newsletter or ‘updates’. You need to grab people’s attention and keep them hooked – get them clicking your links and even sharing the newsletters with their contacts. Integrating social media and newsletters with great content is a great way to achieve a number of marketing goals. Like to see what we can do first hand? Why not sign up to our mailing list for social media hints, tips and tricks every month! We use specialist email software to deliver and track our campaigns and continually feedback to our clients so we can make each and every campaign bigger and better. 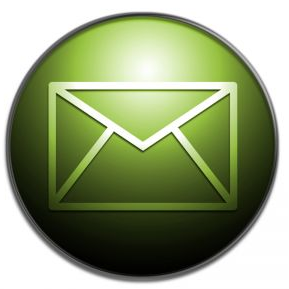 We can help advise on email marketing strategy if the client would like to take care of it themselves and also provide solutions to growing your mailing list. Read more about our social media management, social media training and click to receive your free social media audit.